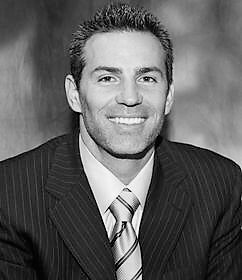 Kurt Warner, Former NFL Player. NFL Analyst. Motivational Speaker. The first chapter of Warner’s tale was written in 1999 when he defied logic by emerging from obscurity to lead the St. Louis Rams to a victory in Super Bowl XXXIV. In that same year, Warner was named the NFL and Super Bowl Most Valuable Player and stood out as the spiritual leader of the Championship team. For the next two years Kurt continued to be a dominant force in the NFL as the ringleader of what became known as the “Greatest Show on Turf.” He led the Rams to two additional playoff appearances – including another Super Bowl – and received Pro Bowl honors for three consecutive years (1999-2001). He also was one of a few NFL players to be recognized with two NFL MVP awards, receiving his second after the 2001 season. After suffering from injuries and watching from the sideline, Warner was released by the Rams in 2004 and signed a one year contract with the New York Giants. In March 2005, he was signed by the Arizona Cardinals where most football experts expected him to unceremoniously end his career. In 2007, the veteran signal caller battled through an elbow injury to begin his renaissance with a passer rating of 89.9. In 2008, he led the Cardinals to their first ever Super Bowl berth, was voted to his fourth Pro Bowl, and surpassed several Cardinals’ franchise records including touchdowns, attempts, completions, completion percentage and passer rating. Kurt Warner has reached the pinnacle of success on the field. But, his gridiron accomplishments pale in comparison to the dedication he devotes to the community. In 2001, Kurt and his wife Brenda established the First Things First Foundation, a non-profit public charity dedicated to impacting lives by promoting Christian values, sharing experiences and providing opportunities to encourage everyone that all things are possible when people seek to put first things first. Some of Warner’s more recent accolades for his philanthropy include the 2008 Walter Payton NFL Man of the Year, the 2008 Good Guy Award from the Pro Football Writers Association, USA WEEKEND’s Most Caring Athlete 2009, and the 2010 Bart Starr Award. Warner was born and raised in Iowa. He attended Regis High School in Cedar Rapids and played college football at Northern Iowa, graduating with a degree in communications. Kurt’s journey to NFL stardom was unconventional. Cut by the Green Bay Packers after the 1994 training camp, Kurt played for the Iowa Barnstormers of the Arena Football League from 1995-1997 where he earned all-Arena honors. The Rams signed Warner in December 1997 and assigned him to the Amsterdam Admirals of NFL Europe in 1998.